I have always loved Athirasams that are famous in so many states across India. The knack in making a Athirsamas that are soft to eat, is something one gets with practice. 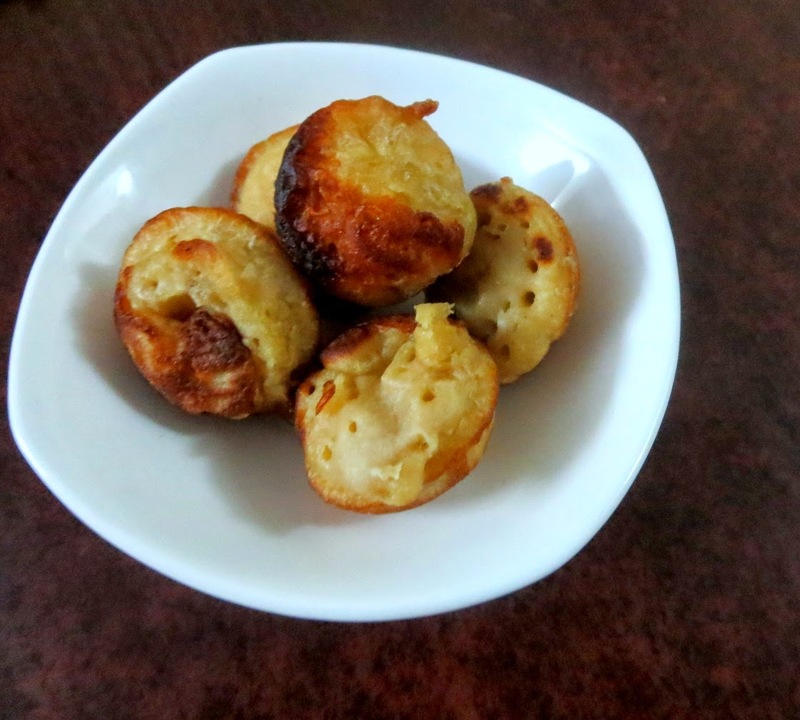 However with the similar ingredients and a different way of making is the Nei appam from Kerala. I first got to eat these in one of our Malayali Friend's home and later in many of the marriages we attended. The ones I loved the best were the ones we got to eat in Guruvayur Temple and I have always wanted to make these at home. 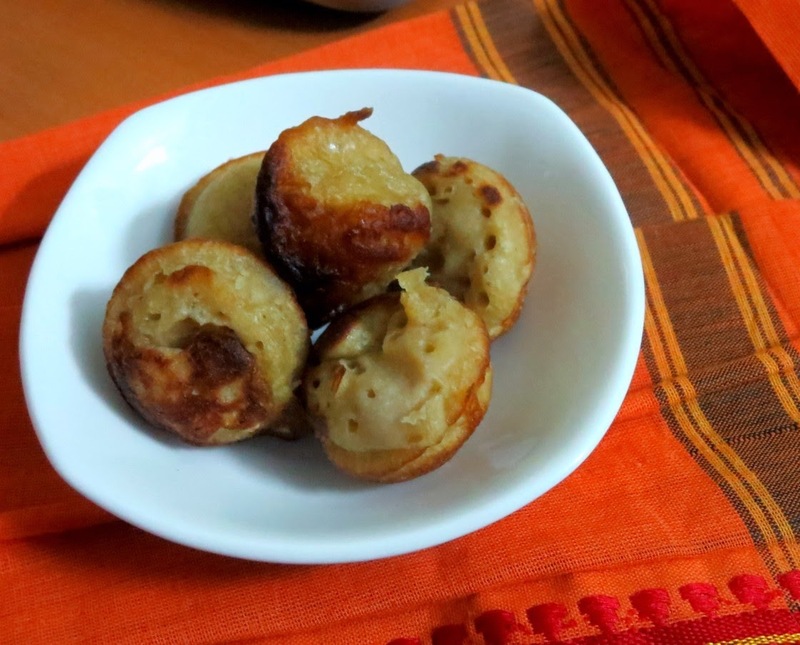 So couple of years back, I had made an instant version of these Nei appams for Ugadi and I am finally writing about the lengthy version this Ugadi! I am yet to plan anything new for this year's Ugadi, of course the regular dishes will be made. What's your plan for the Ugadi? Wash and soak the rice for 3 hrs. Then drain and grind to a smooth batter with enough water to grind. Melt the jaggary and bring to a boil. Remove all impurities if found, sieve and keep it ready. Once the batter is ready, mix in the jaggary, cardamon powder, banana puree, a pinch of soda. Mix well and heat the gunta punugulu vessel and grease well with ghee. Pour one small ladle ful of batter and sprinkle ghee on top. cover with lid and cook in sim. Check if the side is cooked, then flip on other side and cook for another couple of minutes. The batter has to be thick, as you will be adding the jaggary, banana puree. Soda takes care of the softness if the batter was not liquid enough. This is entirely roasted in lots of ghee. Though this is cooked in this special vessel, traditionally in temples in parts of Andhra and Tamil Nadu, the batter is are directly poured into hot oil and cooked. It's more like Malpua or you can compare it as liquid batter of Athirasam.